The Dark Faerie: Preparing for Lydia! We have finally just about gotten her room ready. My mother in law is busy making the curtains and the bedding and I will be adding some dragonflies and butterflies to the walls this week. 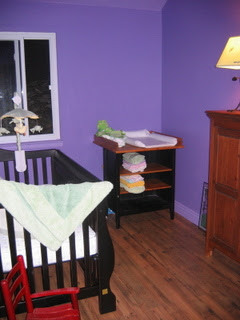 Now that she has a place for her things....it seems to much more real to us.....now we just have to wait for her arrival!